December in New England is a Currier & Ives print come to life. Fresh, powder-clean snow blankets village greens, flames blaze in old stone fireplaces, candles flicker in windows, couples hold hands as they ice skate in synch or snuggle up on a horse-drawn sleigh ride. The farther north in the region you go, the greater the likelihood of picture-perfect snow. It's not surprising the top 10 places to experience a white Christmas in New England include four in Maine. 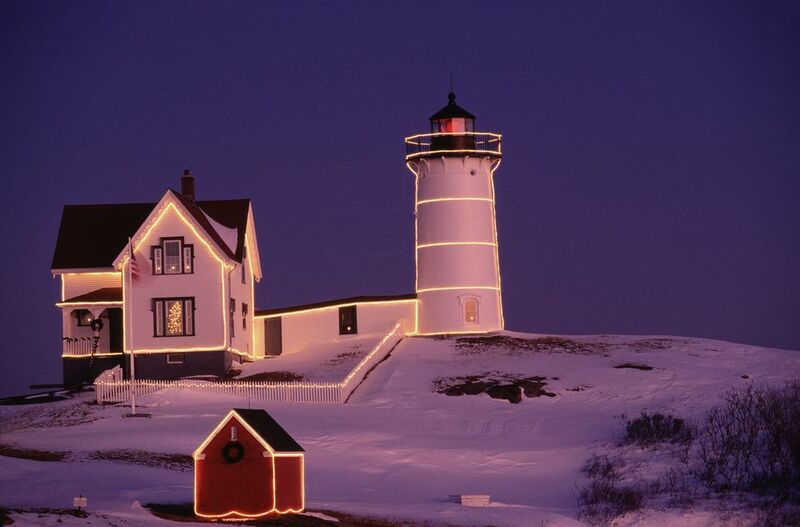 Amidst the bustle of the holidays, New England is the perfect day trip or weekend getaway destination. Step back in time, and experience Christmas past at Old Sturbridge Village or Strawbery Banke. Experience high-tech holiday light displays. Or head to New England's outlet stores to score bargains on outfits to wear to holiday parties and gifts to fulfill every wish. Bargains are especially good in New Hampshire, where there is no sales tax. Hotels and inns dress up this month, so your stay will be merry and bright. Why deck your own halls, when you can check into a lavish B&B or grand hotel, and toast the year's end in comfort and style? Holiday inn tours allow you to at least peek inside, even if you can't spend the night. The largest indoor go-kart racing track in the world opens late this month in Montville, Connecticut. Be among the first to take the wheel at NASKART, which will also be home to an indoor trampoline park. Gift cards make a perfect holiday surprise. Don't overlook Connecticut for a quick December getaway. There are many events that celebrate the season in the Hartford area including Harford Holiday Light Fantasia: one of New England's largest holiday light displays. The Hudson Valley is also an ideal day trip destination during this most wonderful time of the year. Tour spectacular Hudson Valley mansions decorated for the holiday season. Bring home the perfect pine from a New England Christmas tree farm while you're traveling in the region this month. Want to make your Christmas tree last longer? Here's a secret from a New England tree farmer. Santa's Village in New Hampshire reopens during the holiday season for wintry rides and visits with the big guy in the red suit. Make the most of your visit to the park with the free Santa's Village MyPark app. December is the busiest and best month to visit Christmas Tree Shops in New England.